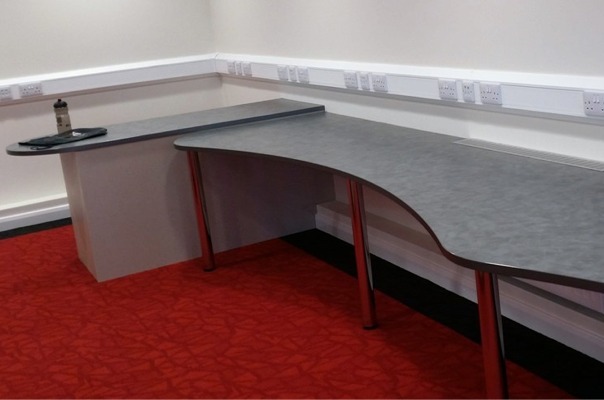 At Barlows we are able to manufacture curved and shaped worktops to your specifications. We have a large range of laminates colours and decors to choose from leading suppliers such as Polyrey and Formica. Please get in touch with our bespoke projects team to discuss for more details.